Castles are mysterious places. They fire our imaginations as we wonder who built them and what their lives were like. They are full of history. Penrice Castle is even more mysterious, because there is no public access, which is a shame because there is a lot left. 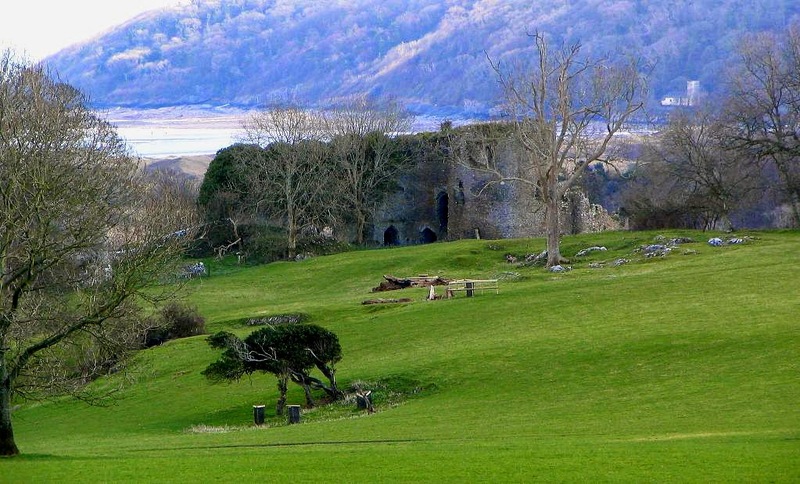 It is the largest castle on Gower. You can glimpse some of it from a nearby public footpath, but it stands on private land. The family of knights who owned the land in the 13th century took their name, Penres, from Penrice. There was a simple wooden castle there before but when Sir Robert de Penres married in 1237 he decided to build in stone and chose another location nearby. Like many castles, it was built in stages. Originally there was just a keep and a thin curtain wall cutting off the promontory on which it stands. In the 1250s and 60s Robert strengthened the site by enclosing it in stone walls with tiny round flanking turrets. More buildings were added – a barn, hall block and gatehouse. His son, also called Robert, added a solar block and a chemise around the turn of the century. 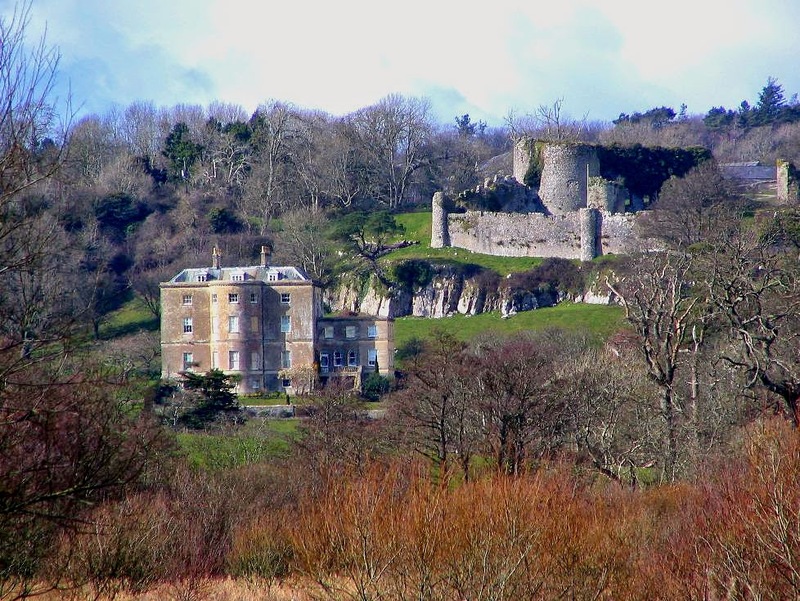 The core of the land around Penrice Castle and the village has remained in the family and they have now lived there for twenty nine generations. In the 1960s the overgrown land was cleared and gardens planted and in the past twenty-five years many of the traditional cottages and houses owned by the family have been converted into holiday homes.